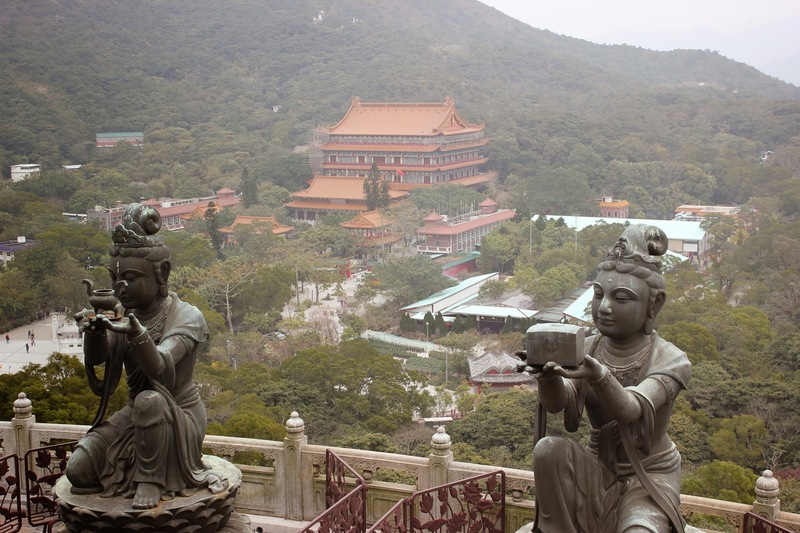 There are over 260 outlying islands in Hong Kong, Lantau Island being the largest, lying to the south-west of Hong Kong Island. Hilly and mountainous, covered in greenery and completed with beautiful sandy beaches, it is a rugged, scenic place and is a world-renowned tourist attraction. The monastery was founded in 1906 by three monks visiting from Jiangsu Province on the Chinese mainland and was initially known simply as “The Big Hut.” The main temple houses three bronze statues of the Buddha – representing his past, present and future lives – as well as many Buddhist scriptures. 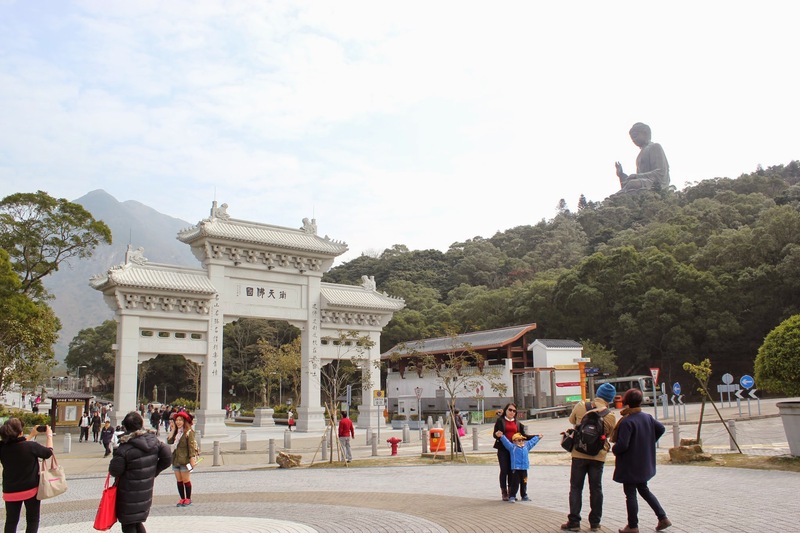 The majestic Big Buddha (seen above), sits atop the peak of Mount Muk Yue and took over 12 years to build and symbolizes the stability of Hong Kong, the prosperity of China, and peace on earth. 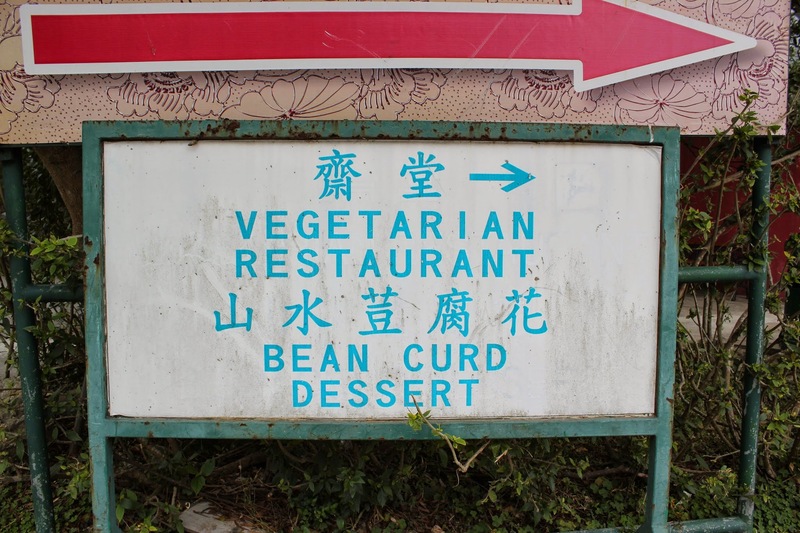 Near the base of the Big Buddha sits the Po Lin vegetarian kitchen and while it’not exactly a five-star establishment, the food was quite good for a tourist attraction. It actually turned out to be one of our favorite meals of the trip and was a nice break from our carnivorous diet of Hong Kong specialties like pork belly and roast goose. 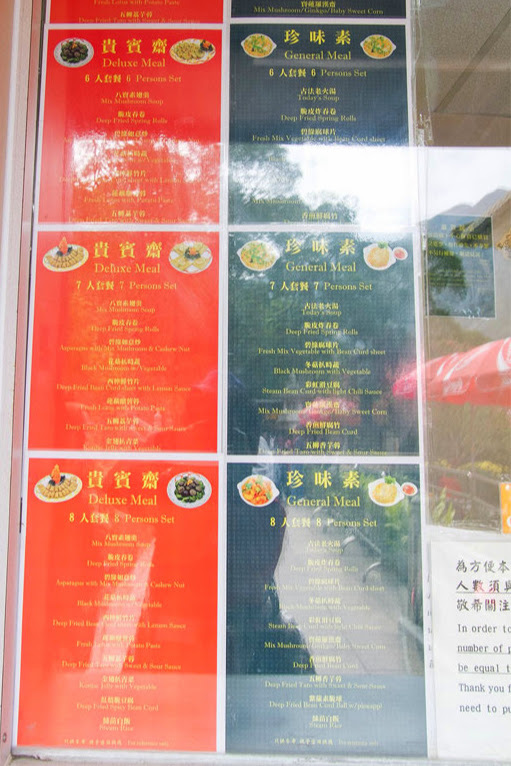 Depending on how hungry you are, you can buy a ticket for a general meal (HK$78), a deluxe meal (HK$118), or a snack (HK$30) by the dining area or at the ticket office near the base of the stairs to the Big Buddha. 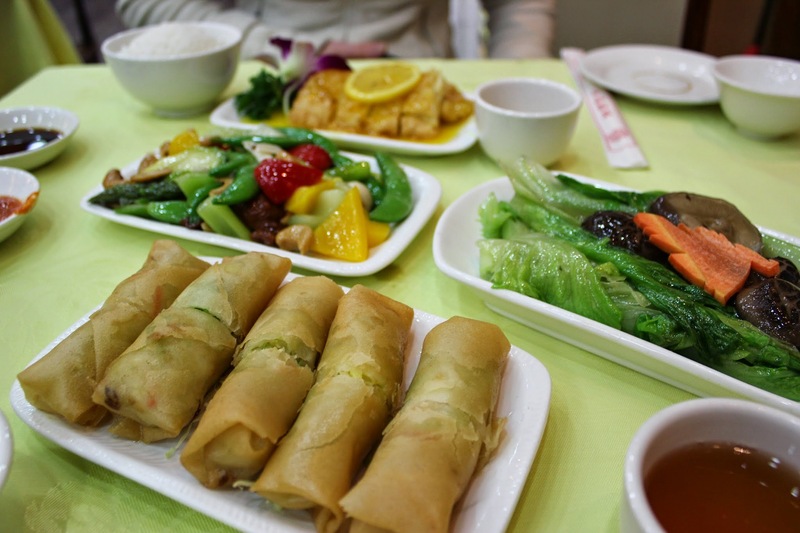 We chose the deluxe meal and were treated to 5 courses including mixed mushroom soup, deep-fried spring rolls, braised lettuce with black mushroom, snap peas with cashews, and deep-fried bean curd sheets with lemon sauce. 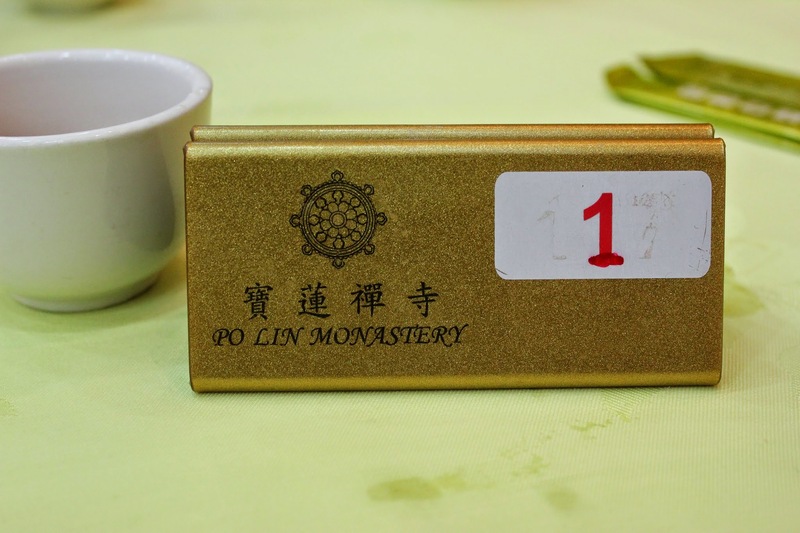 Lunch at Po Lin monastery is served daily from 11:30am to 4:30pm.